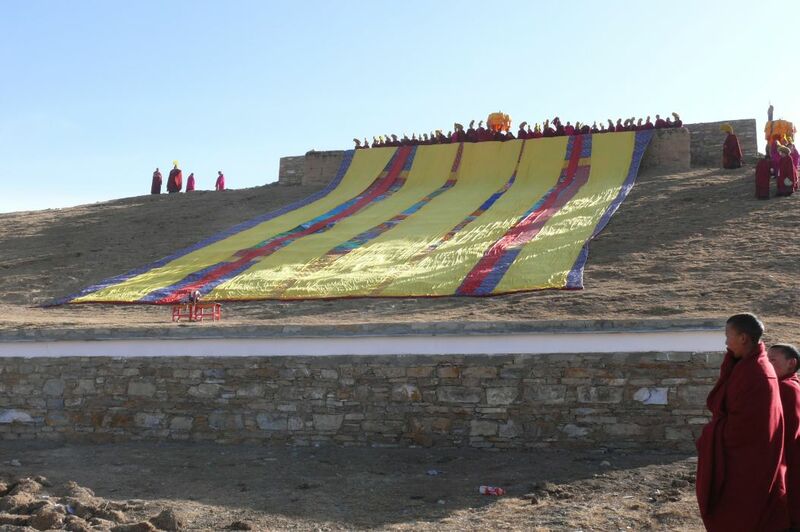 It was a lovely blue sky day and Losar celebrations for the New Year were in full swing. 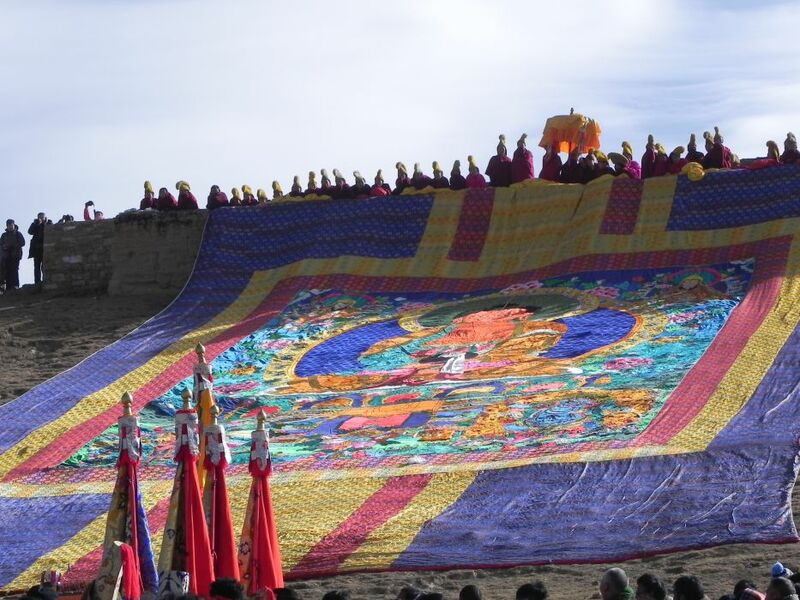 Everyone was in a festive mood, and the atmosphere at Gomang Monastery for the Displaying of the Thangka was no different. 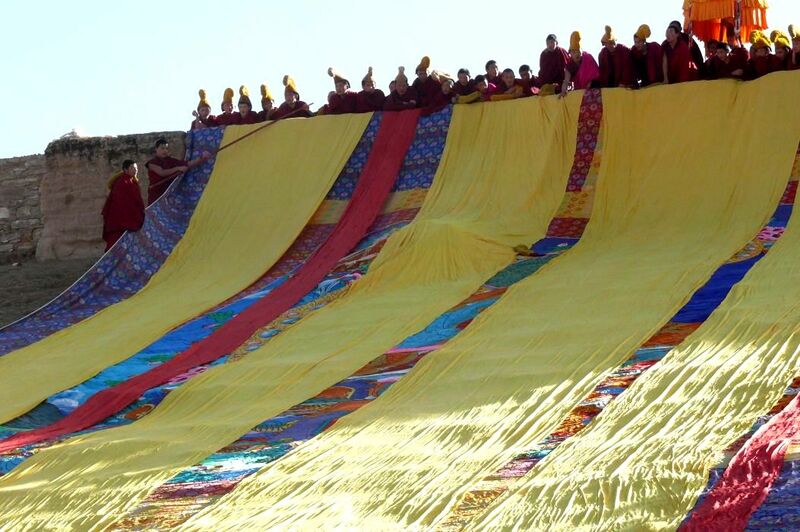 This event is particularly enjoyable because the large thangka, measuring about 20 meters by 30 meters, is seen only once a year – and then for only one hour! 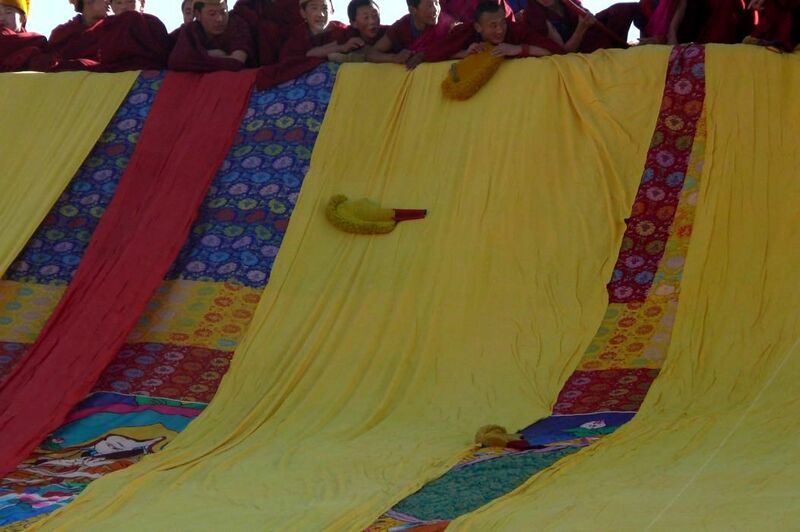 The thangka is carried as a long roll to the top of the hill and then ceremoniously rolled down the hill, with a yellow cover in place. 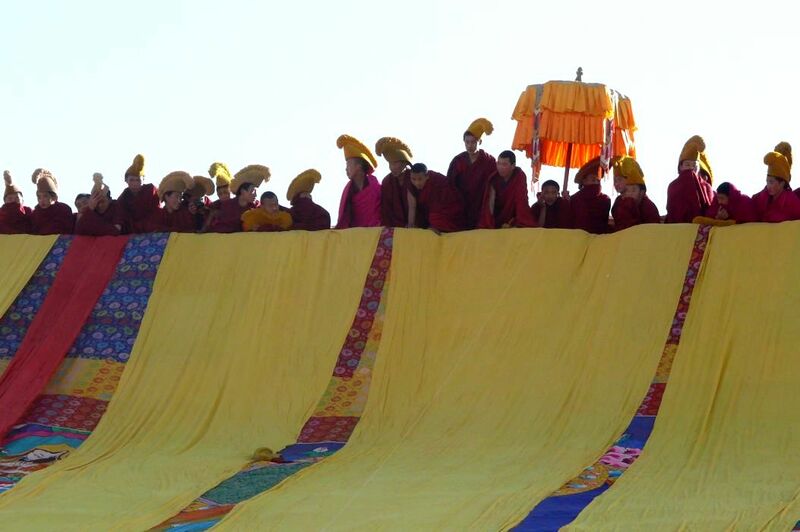 Only when the ceremony has been consecrated by the Living Buddha for Gomang Monastery will the cover be lifted and the thangka displayed. 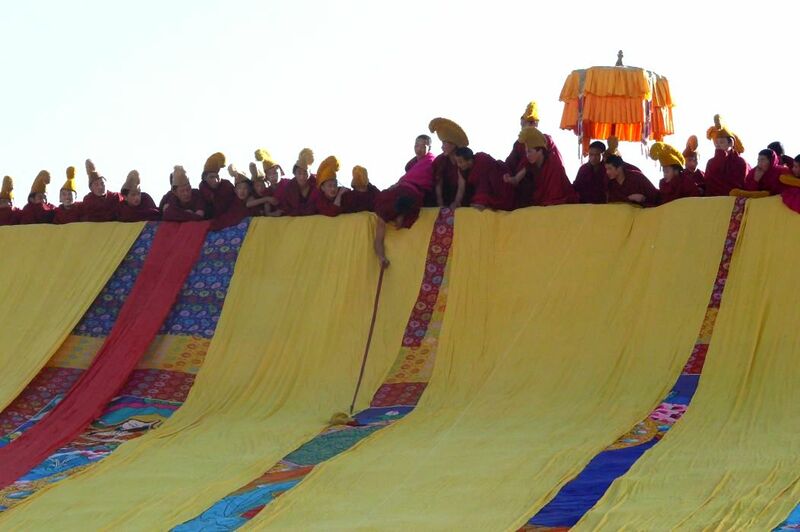 In anticipation, the monks at the top of the hill nervously ensure that all is in order under the watchful eye of the Disciplinarian (seen at the top left in the photo). … but wait a moment, someone has lost a hat !! 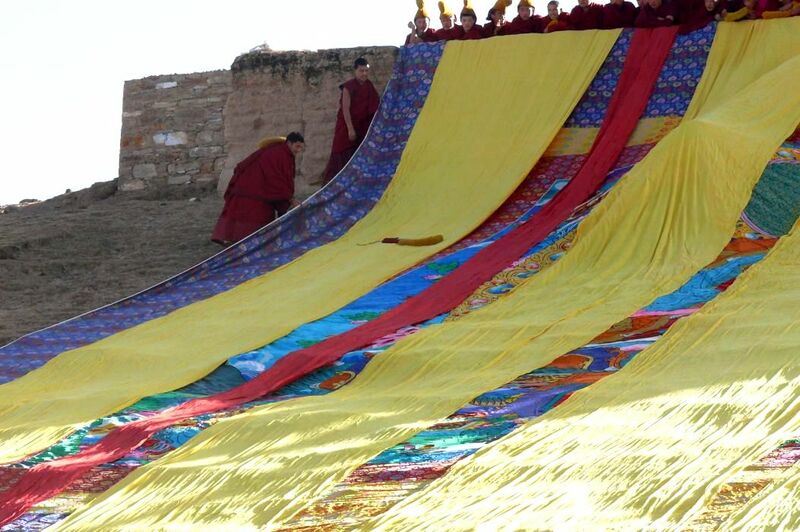 Just in case some of the ropes become tangled, a special pole with a tantric hook on the end is always available. It will now be used to retrieve the errant headpiece. 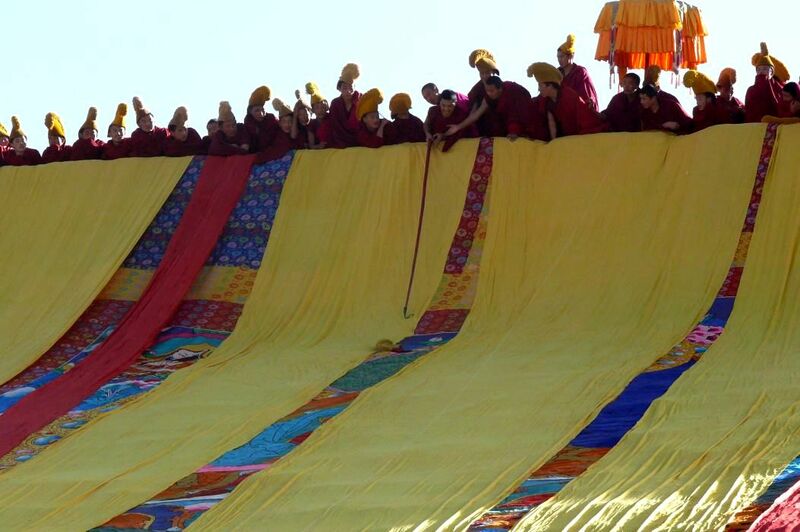 The hat has slid quiet a distance down the thangka and it will take a long reach to hook it. 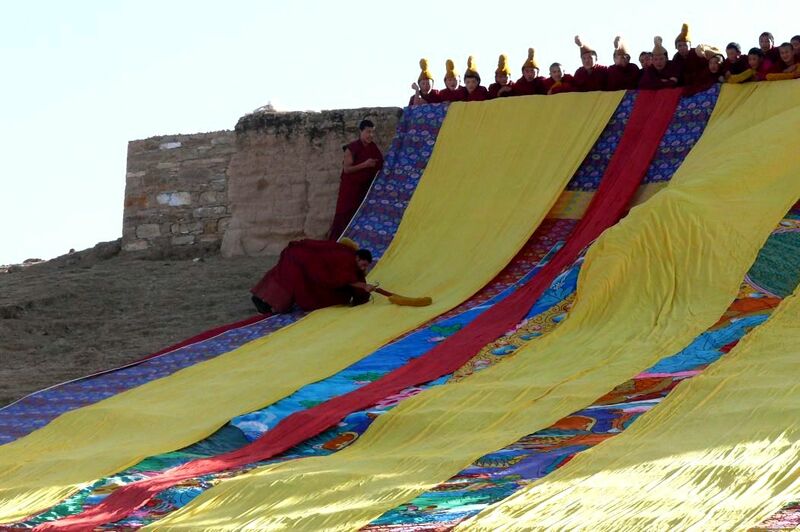 One of the taller and more athletic monks steps up to the task. Just a little further …. 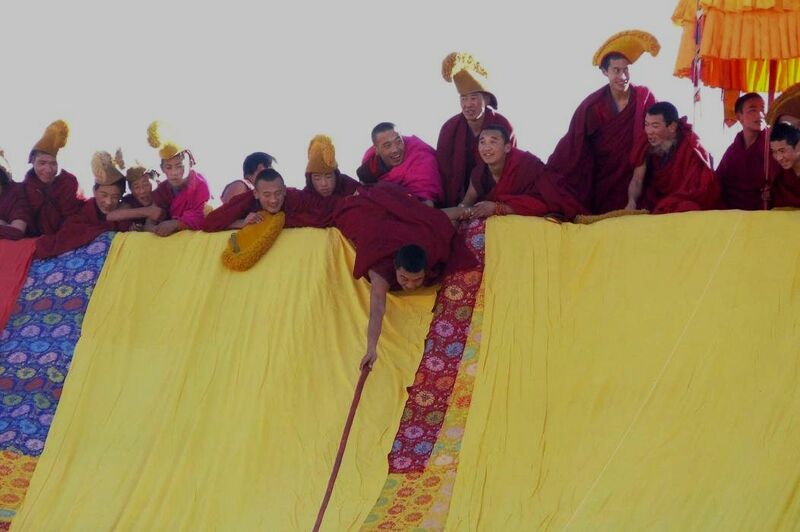 Almost there, but in the excitement someone else loses their hat over the edge as well. Now there are two hats to be recovered. Thankfully the latest addition is much easier to recover. 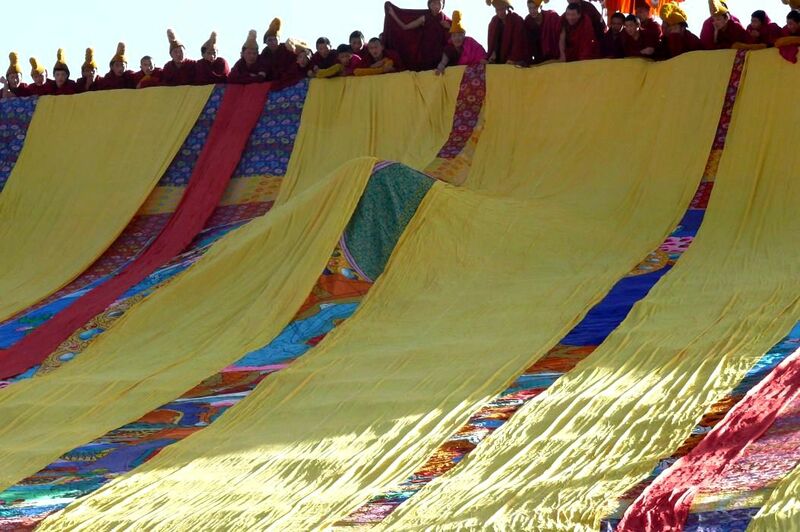 But this still leaves the original hat lying in the middle of the ceremonial thangka which is waiting to be revealed for only one hour only once a year. Something has to be done, and the hooked pole is demonstrably insufficient. He positions himself accordingly, and gives the hat a good smack from underneath. 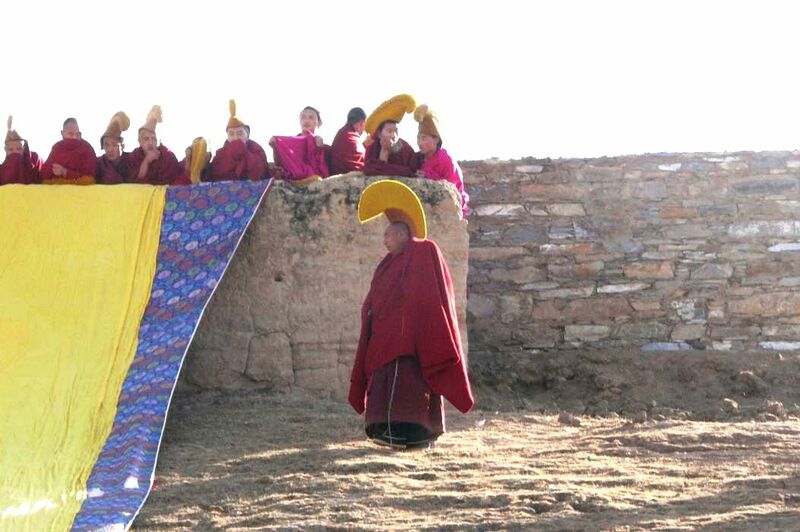 The hat is now quickly removed so the ceremony can continue. All the while, these activities have been under the watchful eye of the Head Dhob Dhob (Chief Disciplinarian). I am sure he will have words and ‘extra duties’ for the lads unable to control their headgear. 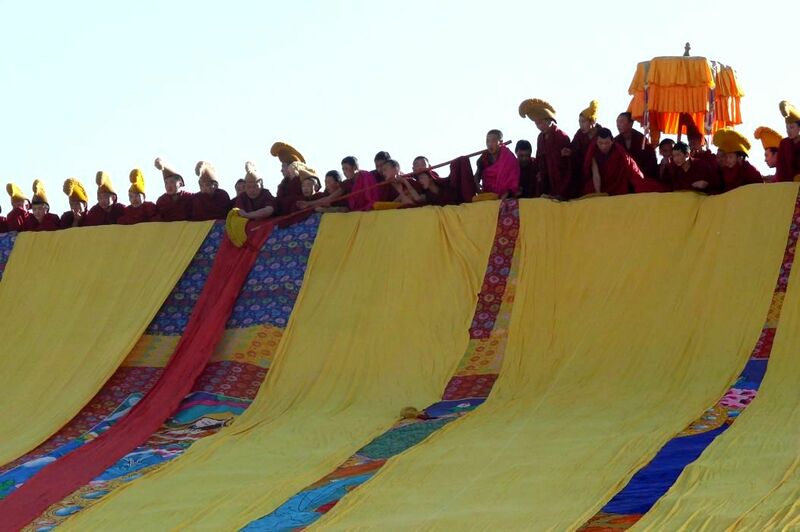 The yellow cover is rolled up, and the glorious thangka is on full display for all to see and admire.